A worker is seen at the central processing facility of the Rosneft-owned Priobskoye oil field outside the West Siberian city of Nefteyugansk, August 4, 2016. 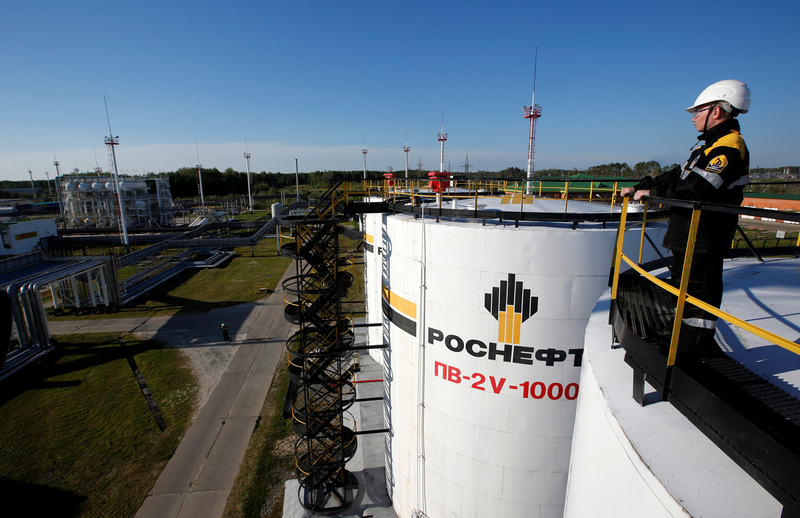 The Russian government has announced that it will postpone the privatization of state share packages in the Rosneft and Bashneft oil companies. Russian analysts believe that this is because the price being asked is not acceptable to buyers. The Russian government is to postpone the privatization of one of the country's largest oil companies, Bashneft, from September-October 2016 to a later date, according to an announcement made by Russian First Deputy Prime Minister Igor Shuvalov. The government is also yet to receive any applications for the purchase of the 19.5-percent share of Rosneft, Russia's largest oil company, either from Russian or foreign players, reports the RBK business daily, citing sources within the Cabinet of Ministers. According to the publication, it is unlikely this deal will take place in 2016. "The strategic reason for the postponement of the privatization is the weak situation on the oil market and the foggy possibilities of attracting private investors," said Sergei Khestanov, advisor on macroeconomics to the general director of Moscow-based brokerage firm Otkrytie Broker. Igor Shuvalov explained that there are real buyers for the Bashneft package, including Russia's largest private oil company Lukoil, Rosneft and the Independent Petroleum Company (IPC), which belongs to Rosneft's former president Eduard Khudainatov. While Ernst & Young has estimated the state package in the oil company to be worth 306 billion rubles ($4.8 billion), Rustem Khamitov, governor of the Bashkortostan Republic, where Bashneft operates, believes the estimate falls short and that the state package can be sold for more money. He has already sent a petition to Russian President Vladimir Putin. For comparison, the state is counting on getting at least 700 billion rubles ($10.9 billion) for Rosneft's 19.5-percent stake. "The reason for postponing the privatization of Bashneft is likely related to the fact that the government and the potential buyer did not agree on the price. The main contender for Bashneft's package is Lukoil," said Stanislav Verner, vice president of the ICF Financial Center. In his words, from the viewpoint of competition and achieving the government's goal to reduce debts in the economy, this was the best option, but Lukoil did not like the price the investment consulting group proposed and refused to pay. "The decision to postpone privatization could have arisen out of the fact that Lukoil and Rosneft engaged in a hot battle over the assets," said Anastasia Ignatenko, an analyst from Moscow-based financial consultancy TeleTrade. Earlier, Lukoil boss Vagit Alekperov said that the price for Bashneft was too high. The problem is that the sale of the Rosneft and Bashneft shares has been set out as the main condition for the Russian 2017 state budget to be drafted with a 3-percent deficit of GDP. Sergei Khestanov believes that there are two ways that the budget can still be drafted with a 3-percent deficit without privatizing the companies: first, reduce government spending, and second, use the reserves. It is likely that both solutions will be employed. "It is useless to wait for the situation in the oil market to change in the remaining months of the year, but the plan to contain the budget deficit at 3 percent of GDP nevertheless has to be implemented," warned Stanislav Verner. According to Verner, this means the government will have to make a compromise between the price and the rights that the strategic Asian investors will receive when they buy the Rosneft package. Earlier, Chinese investors had said that they are interested in the deal only if they will be able to participate in the management of the company. If privatization was postponed, it is unclear with what the 2017 budget will be filled, said Ivan Kapitonov, a professor at the Russian Presidential Academy of National Economy and Public Administration. In his view, the budget deficit will probably increase from the planned 3 percent to 5 percent. In such a situation, an alternative could be the weakening of the ruble: With a lower ruble exchange rate the budget will receive more resources from oil and gas sales in dollars, said Kapitonov.